Offering you a complete choice of products which include polycarbonate printed labels for appliances. We are one of the well-established manufacturer, exporter, supplier and trader of Polycarbonate Printed Labels for Appliances. 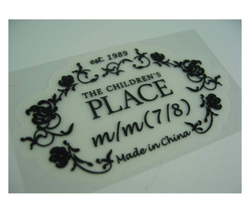 The offered polycarbonate labels are widely used to describe the components of home appliances. Our supplied labels are highly acclaimed by the clients, owing to the versatile physical properties of polycarbonate material. The offered labels have a high impact resistance and durability.